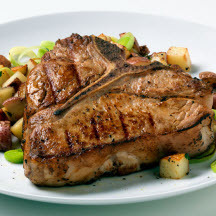 CooksRecipes has quality, kitchen-tested recipes for grilled veal chops, kabobs and steaks that you can count on for successful deliciousness. 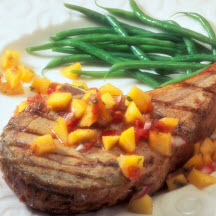 Lime-seasoned veal chops are grilled and served with a fresh mango salsa. 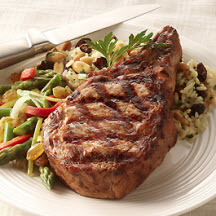 Recipe courtesy of the California Raisin Marketing Board.